This weekend the kids and I hung out at home for some much need "mommy rest", however, we were able to have some fun thanks to Kidstir. 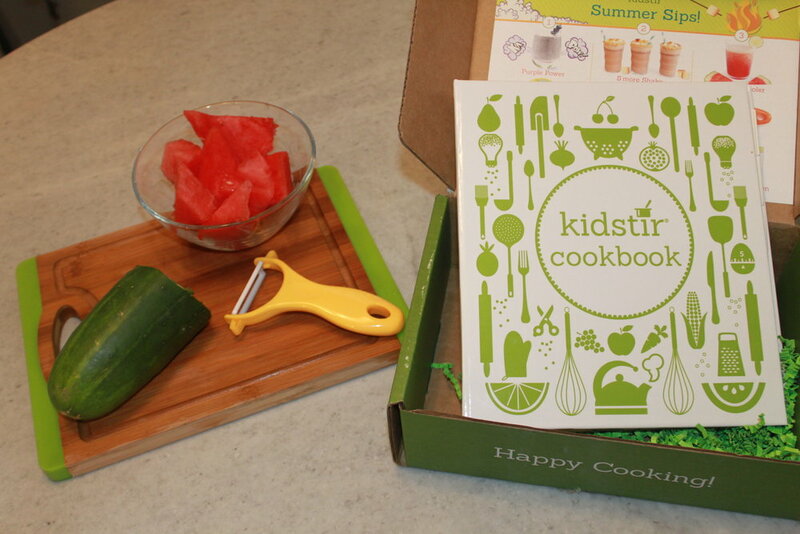 In case you're not familiar with Kidstir, it's a cool subscription box that sends kid friendly cooking utensils, as well as monthly recipes straight to your doorstep. Elle and Maveric were super excited, they scanned through the cookbook and agreed on making Watermelon Cucumber smoothies. 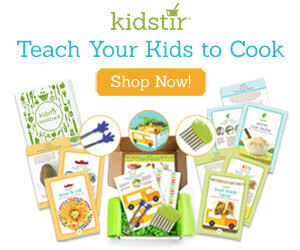 I love that the recipes are so kid friendly and they really make it exciting for the kids. Elle and Maveric really took pride in creating these smoothies without any help. I was basically there to capture the memories and assist with the use of the Ninja. First step was cutting 2 cups of water melon, Maveric of course was the first to volunteer to complete this task. Elle completed the second step of peeling and deseeding the cucumber. This cute veggie peeler was a gift from kidstir and it's so safe for them to use. I couldn't believe how easy it was for Elle to peel. After gathering all of the ingredients the kids were able to blend and taste! The recipe took no more than 15 minutes and that's with me taking pictures. All in all the kids gave it 3 thumbs up! I have to say I truly enjoyed watching them work together creating these smoothies. I personally look forward to making the next item on our list. Stay tuned for S'mores Shakes! 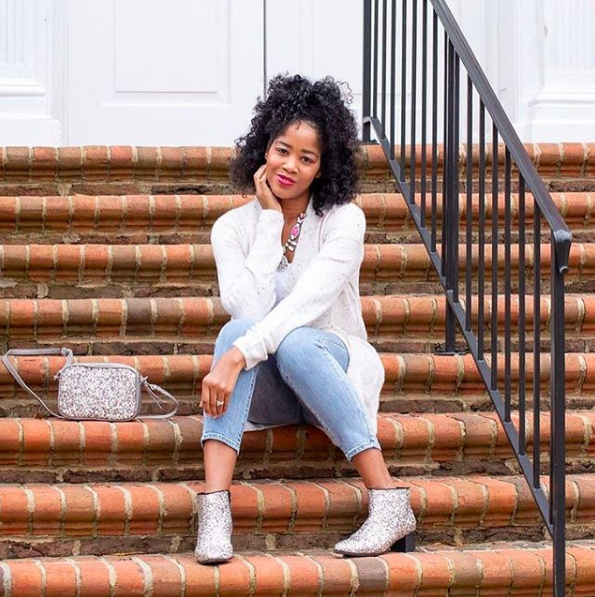 Be sure to snag a subscription box for your family, trust me you won't be disappointed. It's totally worth the $15.95! You can easily choose from 3 options: 1-5 kits: $15.95/kit, 6-9 kits: $14.50/kit or 10-12 kits: $12.95/kit. Click the link below to get started.